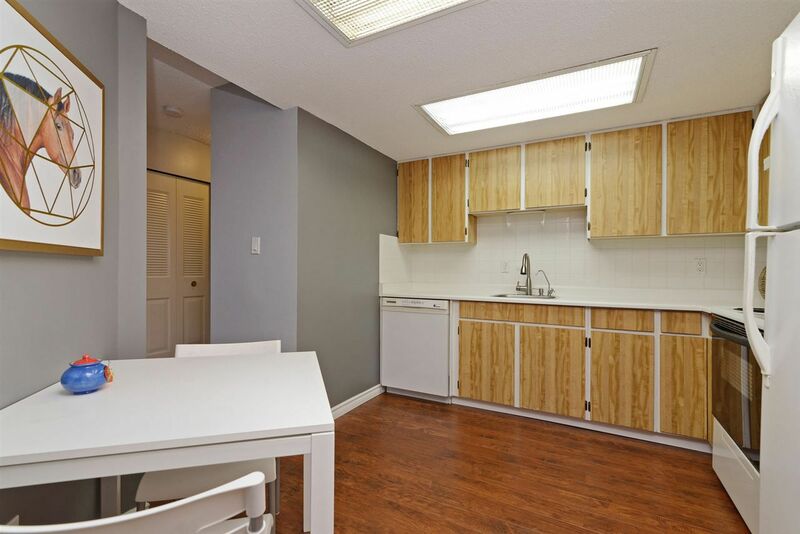 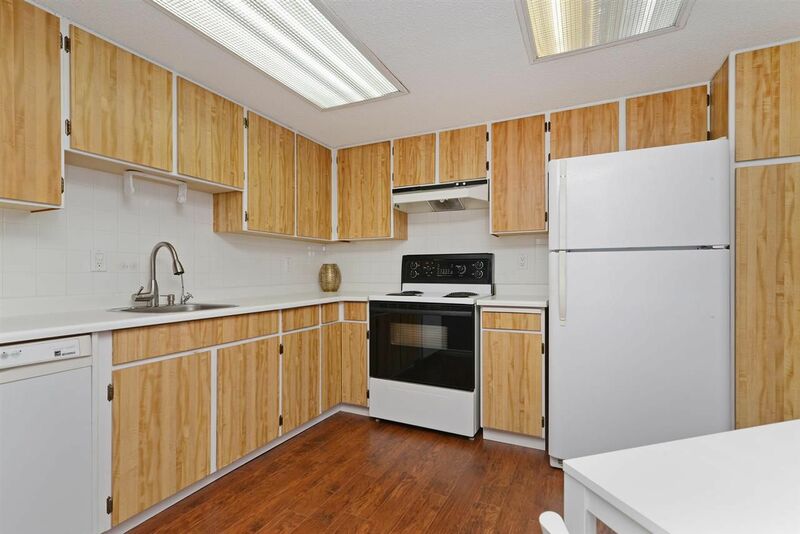 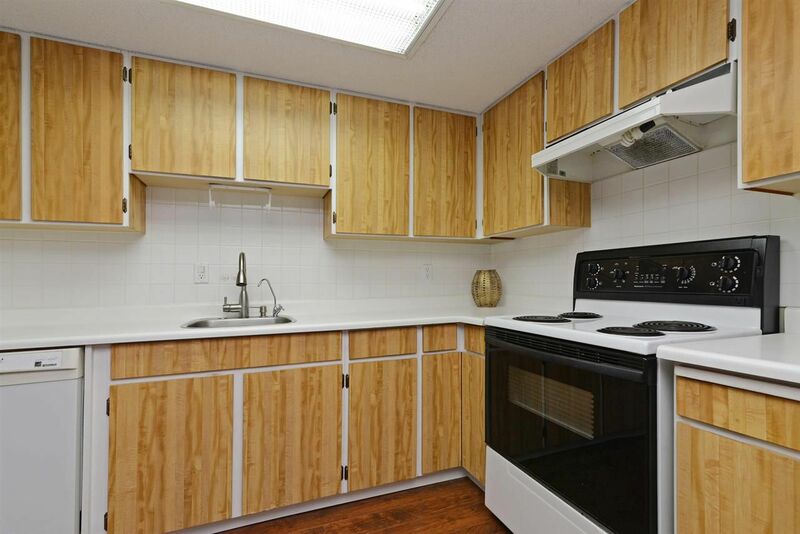 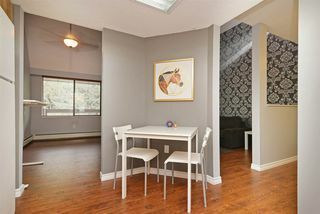 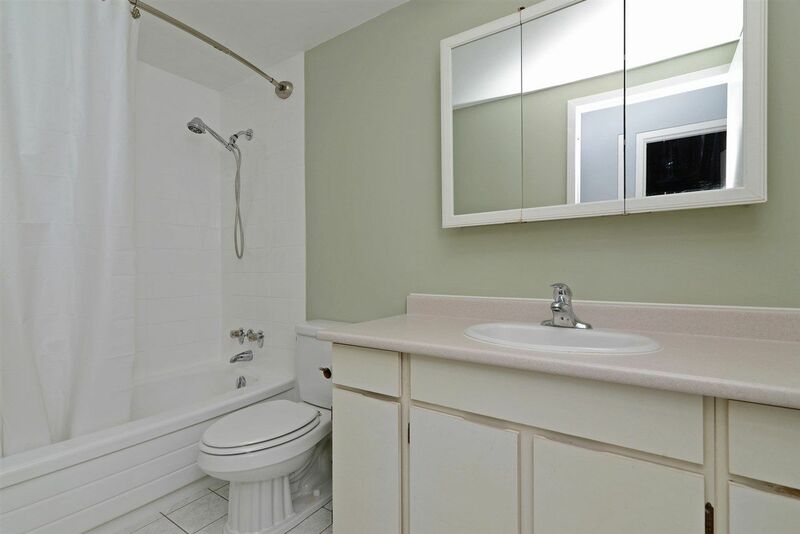 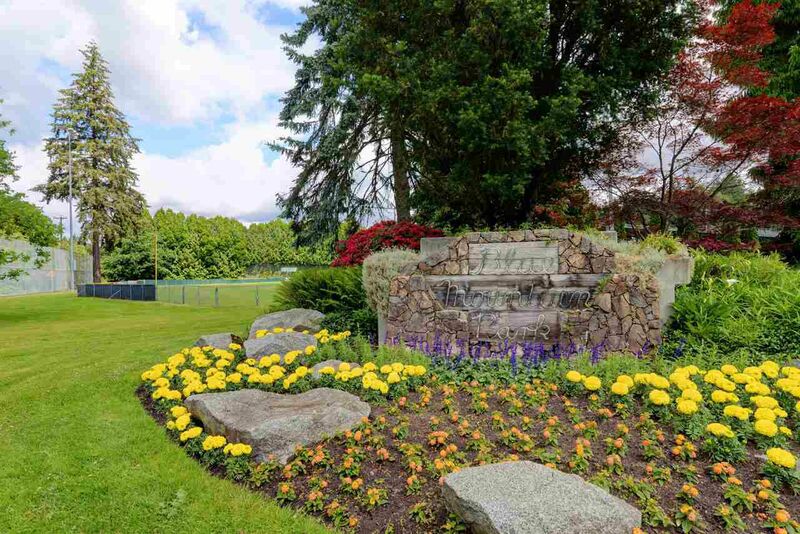 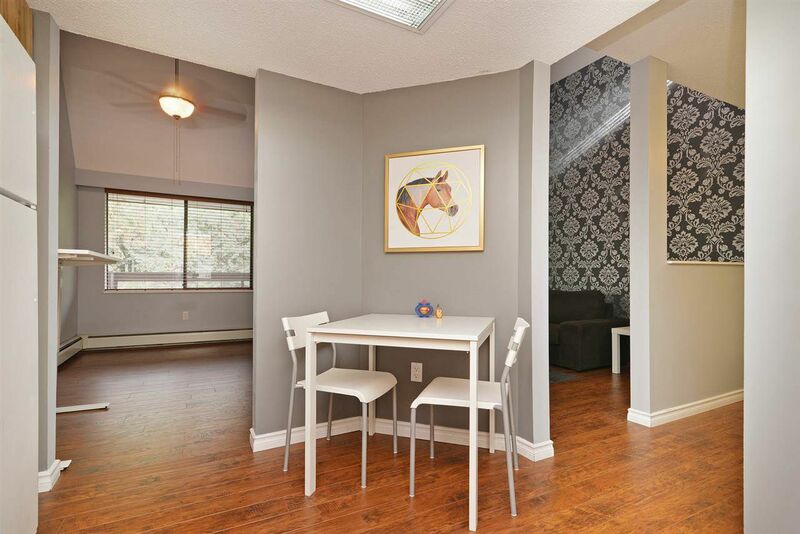 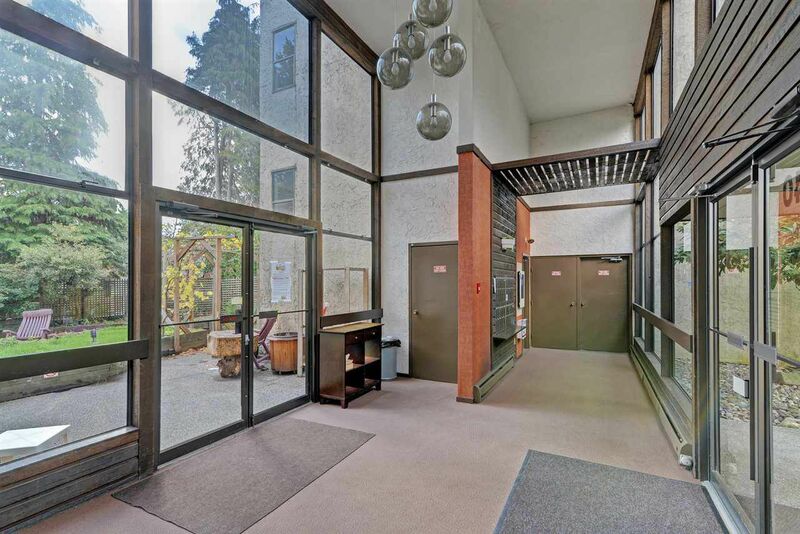 Beautifully maintained TOP FLOOR, CORNER UNIT facing Blue Mountain park! 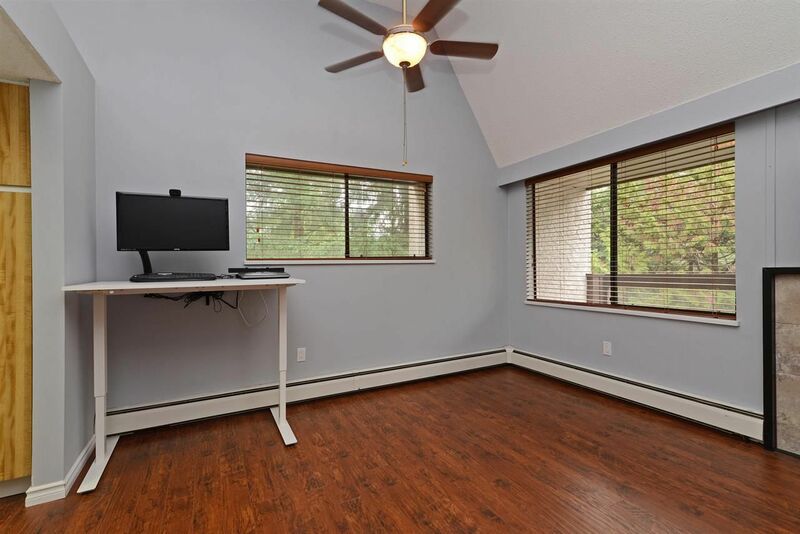 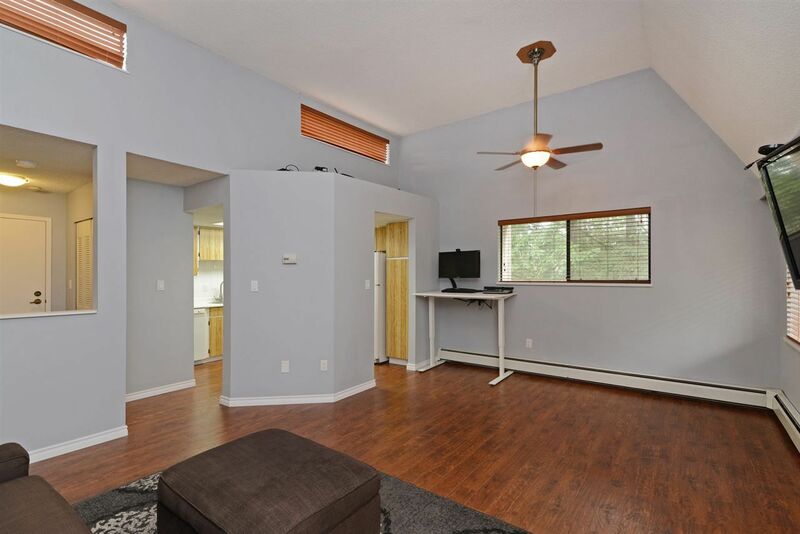 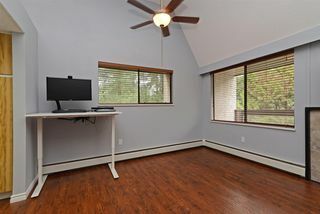 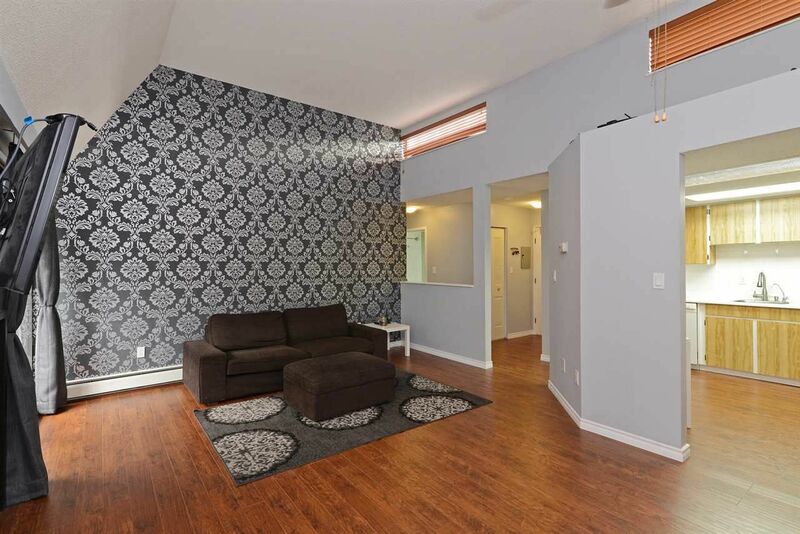 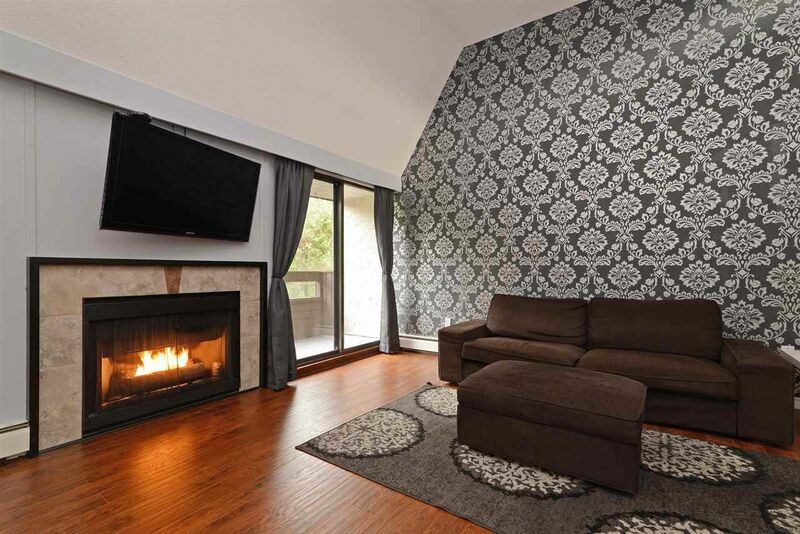 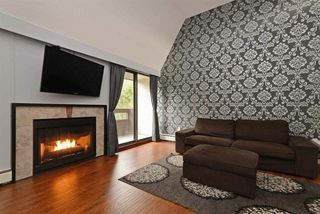 Boasting 12 ft vaulted ceilings in living room and bedroom! 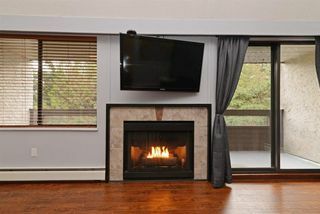 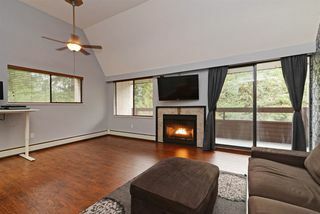 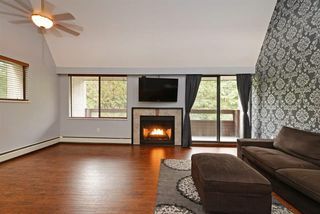 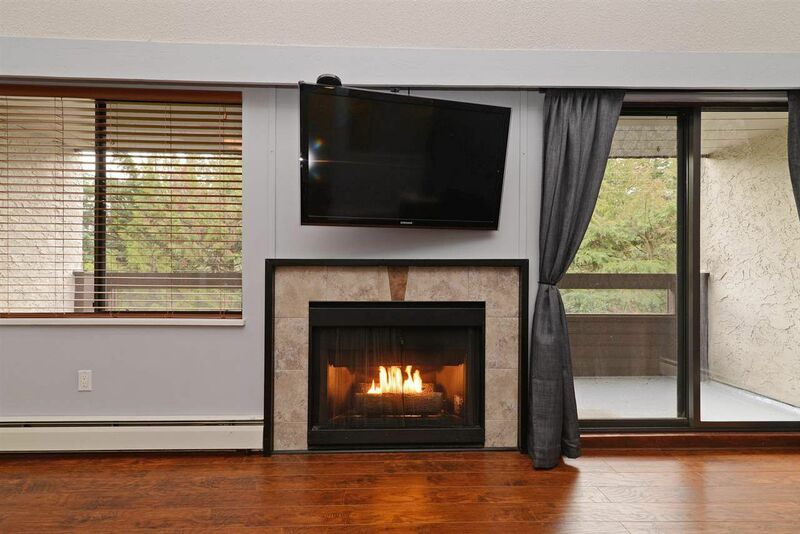 Living room with cozy gas fireplace, stunning feature wall, extra windows for lots of natural light and sliders with access out to very private balcony. Large kitchen with lots of cupboard space plus eating area. 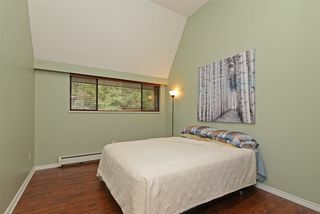 Spacious bedroom with over-height ceiling and walk-in closet! 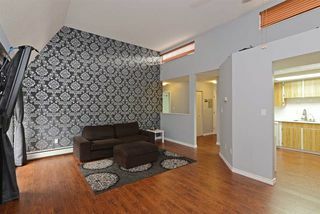 Designer paint and 2" blinds throughout. Lots of in-suite storage. 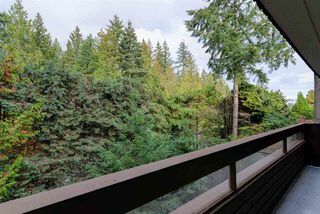 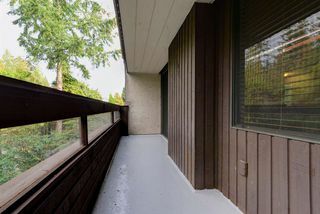 Enjoy the large very private balcony surrounded by trees. Strata fee includes heat, hot water and gas. Great central location! 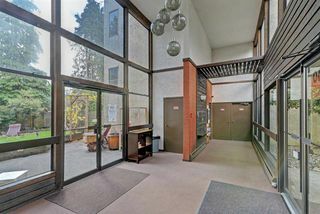 Steps to Blue Mountain park, Como Lake Middle plus all the shops and services of Austin Avenue. 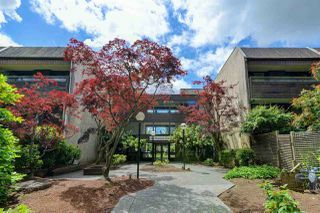 Short bus ride to Skytrain. 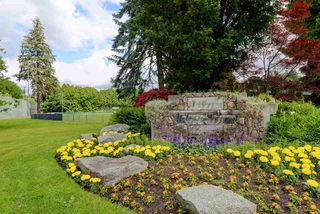 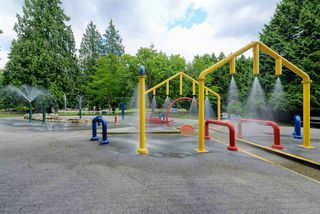 Close to Lougheed Mall. 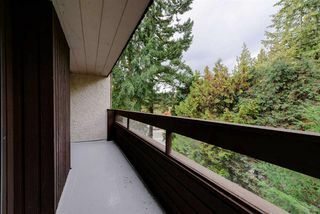 Easy access to Hwy 1 and Lougheed Hwy.